Water Matters > Education > Is Your Tap Water Safe from Unregulated Contaminants? The Environmental Protection Agency (EPA) is the primary governing body that decides what goes in, and what stays out of your drinking water. But over the last few years, there have been growing questions regarding the methods by which your water is treated (chlorine versus chloramines, for example) or whether or not their rules are strict enough to prevent long-term health issues for Americans across the country. And while all of that may sound cumbersome (it totally can be), it’s also necessary to understand what the EPA is, why the Clean Water Act and Safe Drinking Water Act matter to your health, and what you can do about it. Taking control of your water situation starts from your own home, and in many cases, right at your fingertips. The Clean Water Act (CWA), passed in 1948 and amended in 1973, allows the EPA to manage the discharge of pollutants into water across the U.S., and to regulate quality standards for surface waters. The Safe Drinking Water Act (SDWA) of 1974, amended in 1986 and 1996, takes clean water one step further. Enacted at the federal level, the SDWA ensures that the quality of drinking water in the U.S. is met across the board. Under the SDWA, the EPA regulates over 90 contaminants that can be found in drinking water from public water sources, but currently, there are many potentially dangerous ones that still go unregulated. Every five years, the EPA reviews a (surprisingly long) list of unregulated contaminants with the goal of ensuring your drinking water continues to be safe. The list in its current form exists and is available for the public to reference so that when you get your water tested at home, you can compare notes: it’s called the Contaminant Candidate List (CCL). Here’s a small sample of what’s currently on the CCL. Adenovirus: Virus most commonly causing respiratory illness, and less often, gastrointestinal illness. Enterovirus: Group of viruses including polioviruses, coxsackieviruses, and echoviruses that may cause mild upper respiratory symptoms (a cold), a flu-like illness with fever and muscle aches, or a mild illness with a rash. Hepatitis A: Causes liver disease and jaundice, this virus is most often associated with a lack of access to safe water and proper sanitation. Salmonella enterica: Common food- and waterborne bacteria (think: raw eggs) that accounts for 60 percent of all bacterial disease outbreaks in the U.S. Even though these contaminants are unregulated, they’re still presently showing up in tests across the country. Even though these contaminants are unregulated, they’re still presently showing up in tests across the country. For example, 25 U.S. utilities voluntarily participated in a study from the U.S. Geological Society and the EPA. The preliminary findings, presented at a toxicology conference in November 2013, found 18 unregulated chemicals in drinking water from more than one-third of U.S. water utilities sampled nationwide. Perfluorinated chemicals (PFAS), the most frequent offenders found in tests, are widely used in a variety of industrial processes, including the manufacture of some nonstick and stain-resistant food packaging, fabrics, and cookware. The two most common PFAS substances, PFOS and PFOA, have been detected in the blood of nearly every resident in the United States. A panel of scientists concluded that there is a “probable link” between PFOA in drinking water and high cholesterol, ulcerative colitis, thyroid disease, testicular cancer, kidney cancer, and pregnancy-induced hypertension. Luckily, PFOA and PFOS are off of the CCL and are now regulated by the EPA. Cyanotoxins are contaminants you may not be familiar with, but you have likely heard or read news reports about blue-green algae. These multiply quickly when the water’s phosphorus or nitrogen levels are high (common, thanks to fertilizer making its way into the water), especially in warm, calm waters. Although the EPA promises that millions of Americans have access to safe tap water every day, there are still many unregulated contaminants that skirt the safety net of federal regulations. From the treatment facility to your tap, your water can pick up contaminants like lead from older pipes; and even though it’s recently treated, our water is often treated with chlorine or chloramines, disinfection products you still don’t want to drink, even after it’s poured from your tap. With that in mind, you may want to use a high-quality water filter — countertop, under counter, or pitcher water filter — to give yourself complete peace of mind when pouring that glass of H2O. 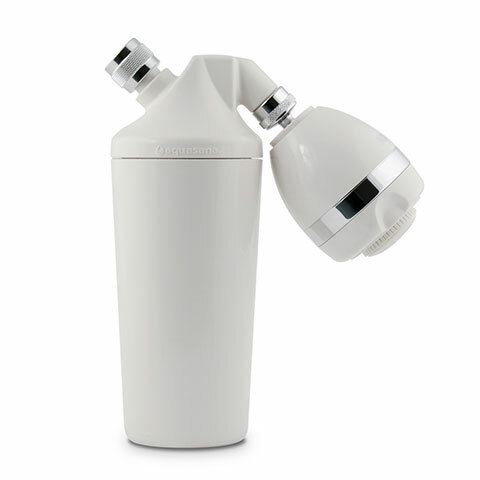 And to be safe, install a shower water filter before taking that relaxing, steamy shower, as contaminants can be triggering for those with asthma, or a whole house water filter to take care of the potential dangers lurking in the water within your whole house. 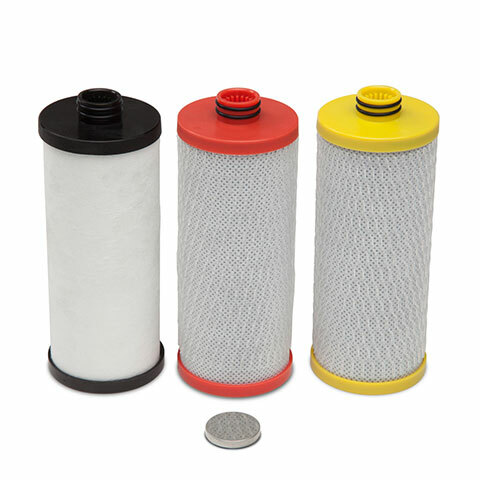 Buy An OptimH2O Whole Home FilterWhat more can be done? In the following video, environmental engineer and former Aquasana CEO, Todd Bartee, explains how the SDWA could fail us and gives his expert advice on how you can best protect your drinking water across your whole home. 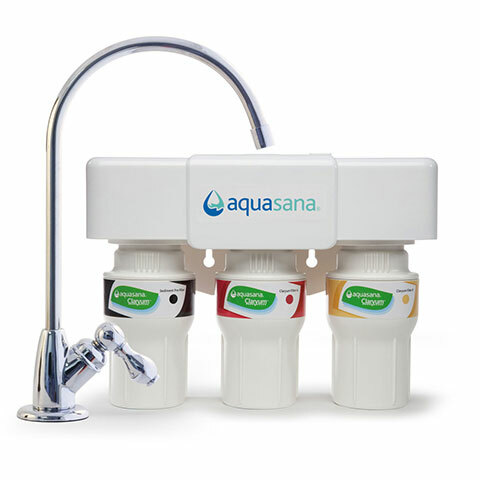 Hi, I’m Todd Bartee, CEO of Aquasana, a water filtration company in Austin, Texas. What is “The Safe Drinking Water Act? The Safe Drinking Water Act was enacted in the 70’s, and it controls all the local municipalities that supply water to the neighborhoods in the country. What we’ve seen with the Safe Drinking Water Act over time is they’ve added more and more contaminants that they’re regulating. So, I think it started with 22 or 23 contaminants. It’s now up to 91, which is great. However, over that same time period, we as a citizenship have introduced thousands of new contaminants into the potential water streams – pharmaceuticals, pesticides, herbicides, industrial solvents, etc. There’s no way a national drinking water act can keep track or keep up with society as it continues to advance at an accelerated rate. How is this act enforced? It’s implemented by the local municipalities all around the country, so if you get water from a local municipality, they’re supposed to follow the guidelines set forth in the act. They’re also supposed to let you know if any contaminants leave their facility at higher than action levels or higher than safe levels so that you know what’s in your water and if there’s any elevated contaminants that you should be thinking about. So, the Safe Drinking Water Act makes all municipal water safe, right? I think that most water in the country is safe to drink when it leaves the treatment facility. However, there’s a lot of opportunity for that water to then be contaminated between the treatment facility and your home. Most likely source of contamination is the transit system itself – so the pipes that are underground, the pipes that are in your home, the fixtures that are in your home. Those can all add things to the water that you don’t want to be consuming. What contaminants should concern us? We’ve heard a lot about lead lately with the issue in Flint, Michigan, and that’s certainly a big concern and a big topic on everybody’s mind. There are other contaminants that are pretty common in our drinking water as well, at trace levels or even accelerated levels in some places. What we’re starting to see in drinking water more commonly now are pharmaceuticals, pesticides, herbicides and then other metals as well that come from the transit system or fixtures in your home. Is there any truly clean water left? There’s no new sources of water in the world, so the same water that was used by our ancestors, by our grandparents is still being used today. It’s gone through the cycle, and it’s been contaminated, and it’s been cleaned, but its still the same water that’s been in place for hundreds, thousands, millions of years. So what we like to think about is: you’re the last line of defense. If the water comes through your pipes and into your taps, you want to make sure that you’re protecting your family from what might be in that water, that was put in that water recently or hundreds of years ago. And the only way to do that is to install a water filter as the last line of defense right before your family consumes the water.